On Thursday 21st May I got up and prepared for a morning of childminding. To be honest the only child attending was my granddaughter Annabelle, as I had managed to swap days / do different hours for the other children who usually attend on a Thursday, so that I could finish at lunchtime. My friend and colleague Carol came round with her minded children to play, so it was a normal morning from that perspective. As regular readers will know Carol and I bounce ideas of each other and reflect on our practice. The subject of discussion (in between supporting play and reading stories, doing snack and all the other things that childminders do every day) was policies and if they are effective, if parents take them seriously and even if they read and understand them (although all sign to say they have read them). Discussion was around making policies shorter with just the main points, going back to verbal discussion to ensure better two way communication and partnership working. Other subjects included Ofsted, proposed increase in funded hours … and more. However at 11ish Carol went back to her setting, and I prepared to set off on an adventure to London and to the NMT Top 20 awards. I need to backtrack a bit to explain why I was going on this adventure. At the end of an email about the Ofsted Big Conversation, June O’Sullivan suddenly asked if anyone had entered me for the NMT Top 20awards. My reply was no, and why would anyone want to enter me after the fuss I made about the Nursery World awards last year. June replied that she really wanted to nominate me and would do so. Within a short space of time June had completed the nomination form, and several colleagues had provided supporting statements. Other colleagues then emailed into the NMT team to support the nomination. My heartfelt thanks to June and all the colleagues who took the time to support this nomination. Nothing much happened then, and as I had not heard that I’d been shortlisted as a finalist, I pretty much forgot about it. However when searching on the NMT magazine website I spotted a list of the finalist for the 2015 NMT Top 20. To my complete and utter surprise I was one of the top 20. A few emails later, and it became apparent that I had not received the email notifying me of my finalist position, due to a full stop being missing in my email address. Once this was all sorted I was sent the confirming email, and I confirmed to Jessica the organiser that I would be attending. So this is why on Thursday 21st of May 2015, I set off on an adventure all on my own to London to attend the awards dinner. 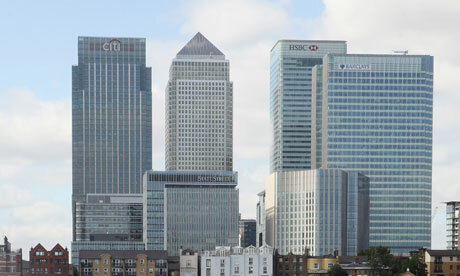 The awards were being held at Barclays headquarters in Canary Wharf, which happens to be an area of London I have not been to before. The journey to Canary Wharf although long and involving several changes of train and once in London a couple of tube changes, was fairly straightforward. Unlike my previous two recent trips to London, when it rained heavily, this was a very sunny day and it was a pleasure to be able to walk around the Docklands area. I found the hotel that I was staying in, and then with a map from the hotel receptionist, I set off on a fact-finding mission to find Barclays headquarters. Luckily it turned out to be about a 10 minute walk away and was easy to find. 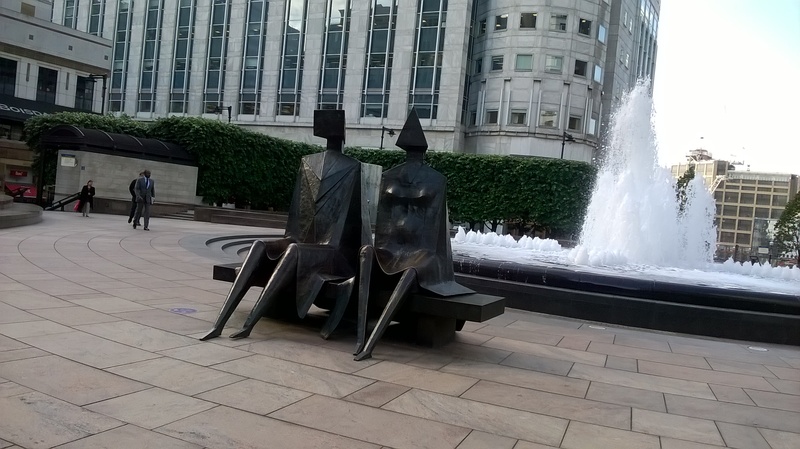 I enjoyed walking through this bustling built-up area of London marvelling at the very tall buildings, the sculptures, and the water features. Once I had located the venue, I retrace my steps back to my hotel. Time was in short supply so I had a quick shower and got ready to walk once again to the venue. I arrived slightly early and so waited outside for colleagues to arrive, the first of which was Ken McArthur who I’d met at a recent OFSTED big conversation meeting, and who I regularly communicate with via Twitter. Other finalists then started to arrive, some of whom I had met previously, some of whom I had engaged with on social media, and some whose names were familiar from reading childcare media but whom I had not met or engaged with before. After introductions, we made our way as a small group into the very grand building, there was a special desk set up just for the awards evening where we collected our visitor badges which allowed us to access the main building. We headed to the 31st floor and I have to admit I was starting to panic as I’m not very good with lifts or heights. 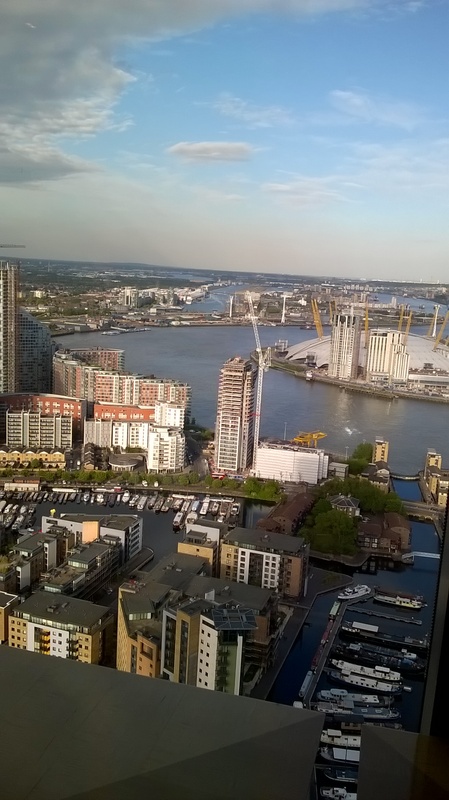 However the lift was very smooth and once on the 31st floor provided I didn’t stand too close looking out of the window, I managed to avoid any panic attacks due to the height. We were greeted warmly by Jessica the organiser and other staff and given our voting forms. Each of the Top 20 finalists had to vote for their top three people, and hand the form back to Jessica. Alcoholic and non-alcoholic drinks were freely available with staff topping up glasses as needed. I had some very nice fruit punch because of course I don’t drink alcohol. During the drinks reception I spoke to several people including some that I’d not met face-to-face before, hugs were exchanged with those I had met before, and handshake with those that I had not met before. We were then asked to make our way to the room where dinner was being served. This room was set up with round tables and everyone attending had a name place, and a brown envelope which contained a certificate marking their achievement of being one of the Top 20. There was also the results of a survey carried out by NMT magazine. Many finalists including myself took opportunity to take a photo or two of the magnificent view, however we did not have long as we were asked to take our seats for dinner. The tables were set beautifully and the at table service was fantastic. Note had been taken of my dietary requirements, and although not everything served to me was to my personal liking it certainly met my dietary needs. Other guests at my table thoroughly enjoyed their meal and commented on how nice it was. Wine and water glasses were regularly topped up, as was coffee at the end of the meal. During the meal I enjoy communicating with those sat nearest to me including Sarah Steel, Deborah Thorp, Ken McArthur, and Chris Townson. Two the organisers and Ruth Pimentel were also sat at my table but not near enough the close conversation. As Sarah and Deborah were nearest to me, it was with them that I had the most in-depth discussions, predictably about all things early years but also about where live and family. 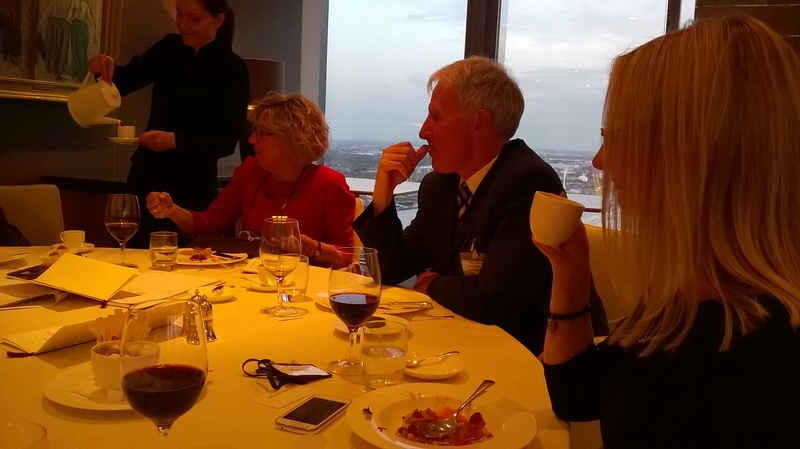 At the end of the meal, the opportunity was taken to look at the results of a survey through NMT nursery top 20 in conjunction with Barclays, this provided a very useful insight into the views of the nursery sector. Next on the agenda was the awards ceremony (although one lady Sue Jones had already had her presentation as one of the five most inspirational people 2015, as she had to leave early). The remaining four most inspirational people 2015 (Catriona Nason, Jennifer Blain, Stuart Bamford, and Kate Peach) then received their awards which was a nice trophy. What I thought was very nice, was they were asked a few questions about what it was but they did and why these things were important to them. It was then time to announce the three people from the list of the top 20 who had been chosen by the other finalists to be recognised for their work. In third place was June O’Sullivan, in second place Laura Henry and in first place Purnima Tanuka who is CEO of the National Day nurseries Association. Congratulations to all three as well deserved recognition of the work they do within the early years sector. One of the nice things about this award is that everyone within the Top 20 is a winner and is recognised for everything they do for the early years sector. Another nice thing is once you have taken first place, although you can be nominated again, you cannot be voted for, therefore Neil Leach who is CEO of the Preschool Learning Alliance could not be voted for this year as he won last year, although he was still nominated and selected as one of the Top 20. Once the awards were over we invited to network with each other and to enjoy a few more drinks. I spoke to many people congratulating the winners of the trophies and the top three of the top 20, thanking June O’Sullivan for her nomination of myself, and ensuring that those who I’d be walking back to my hotel with (Ken McArthur and Sarah Steel) were still happy to do so. One of the things that struck me most about these awards was that everyone was treated as an equal, and every single person felt honoured to have been included in the list of the Top 20. For myself as a childminder among a nursery based group of people this was very reassuring and comforting . A few people were surprised that I was a childminder, but most people were aware of who I am and what I do with regard to my campaigning, volunteering and supporting colleagues, this is evidence that childminders can have a voice within the wider earlier sector, and can work in partnership with all. I am not usually one to sing my own praises, and I’m not going to start now, however I think my achievement in being recognised as a voice within the early years sector should encourage not only other registered childminder’s but other early years practitioners who like me have a ‘hands-on’ role within early years settings. I do not have any funding for what I do, it is all in my own time and at my own cost, there is not a hidden agenda to create an income in any shape or form – I just campaign, support colleagues and volunteer because I think it is important. And the judges of the NMT Top 20 clearly thought so as well – I was told that there was a large number of nominations this year, and therefore everyone who was listed as one of the Top 20, was exceptional and really deserved their place in the Top 20. I think if more of what I call ‘everyday people’ were prepared to speak up for the children of this country, and speak up against things which they know are not in the best interests of the children, we could collectively make a huge difference. I think those CEOs, campaigners and experts within early years field do a grand job speaking up on behalf of the early years sector, however without the voice and backing of huge numbers of early years practitioners and indeed parents of the children, the impact on government policy and ensuring the children’s interests are represented at national level will be limited. Therefore I urge everyone to do whatever it is they are able to do to speak up and ensure government get the message that the children of this country need to enjoy their early years without the pressure of formal curriculum or assessment. Not everyone will want to, or be able to have a ‘soap box’, but things that everyday people could do include signing petitions, writing to their MP, writing to membership organisations to express their views so that these can be taken forward by the membership organisations to government, asking questions about why government plans are deemed to be in the best interests of children, writing letters to the press and childcare media, using Facebook, Twitter and other social medium to share information and posts by others. My message is if we all do a little bit and do it frequently, we will gather momentum and at the very least ensure that government policies are debated and informed not only by research but by the knowledge and experience of those who work with and support early years practitioners and the children in their care. Not all government ideas and policies are unworkable in theory, but they lack input from the early years sector and have not been thoroughly thought through, costed or piloted. WE, – YOU – ME – EVERYONE, can change that, and support the government in their aim of improving outcomes for children. It is not always a case of throwing money at things, but a case of making best use of what is already in place, changing things that are not working very well – and being brave and saying when things are not right. This is reflective practice – and everyone from government, to practitioners should practise this. To end this blog, I hope it is has not only given a recall of my personal experience of attending the Top 20 Awards, and a feel of how honoured and valued I feel, but that it will inspire others to become more active in expressing opinions and objecting to policies that are not in the best interests of children. A small starting point would just be to share this blog with friends and colleagues via social media, emails and newsletters. Thank you for taking the time to read this blog, thank you to June O’Sullivan for nominating me for the Top 20 awards, thank you to those who supported my nomination, and thank you to the judges of the Top 20 awards for deciding that I should be included. Finally, my thanks to Barclays for hosting the event in their spectacular headquarters, and in partnership with other sponsors for ensuring an ‘everyday person’ like myself could be recognised for our achievements and enabled to attend the event with no actual cost for attending, sensible dress code that did not require evening wear, and therefore the only expense was travel and if needed overnight accommodation. My previous experience of attending an award ceremony had made me nervous about entering any future awards events but I am glad that I was nominated for this one, and delighted that my whole experience of the Top 20 awards was positive and enjoyable. As most people are aware my main membership organisation is the Preschool Learning Alliance, however I am also a member of many other early years organisations which is beneficial to myself as a registered childminder. It is also beneficial in my campaigning efforts as being a member of different organisations means that we can work in more effective partnership. Pacey is one of these organisations that I am a member of and work in partnership with, and I have an excellent relationship with staff and other members. However, due to budget restraints I did not plan to attend their conference on the Power of Play. I was aware of the programme being put together, as one of my Save Childhood Movement colleagues, Pam Jarvis was speaking at the event and had given me the honour of looking at and commenting on her presentation from a childminder’s perspective prior to the event. I was then given the opportunity to attend the Pacey conference as two of my local colleagues Shirleen and Keith were unable to attend as unfortunately Shirleen was poorly and so offered me their ticket. Although saddened that my colleagues could not attend, I was delighted to accept the offer, especially as I was already in London for the Neytco event (which you can read about by following this link https://pennysplacechildminding.com/2015/05/17/neytco-an-evening-with-14th-may-2015/ ). I made hasty arrangements to stay an extra night at my colleagues Mick and Sally’s house, squeezed an extra outfit into my overnight bag and headed off to London on Thursday 14th May. I then noticed Penny Tassoni, who I’d met at the NEYTCO event on Thursday night, was in the conference room. I went over to say hello to Penny and to wish her well with her presentation, and was delighted the on seeing me, she stood up and gave me a warm hug. After a brief discussion Penny had to get on with her preparation for her presentation and so I went back to networking with other colleagues. Liz Bayram, Pacey’s chief executive, opened the conference, welcomed us all, and after the normal housekeeping, she presented an excellent talk on play and why it is so important for early years children. She also spoke about the role childminders have in promoting appropriate play, and the role Pacey is playing in promoting members skills and strengths to government, so that childminding is firmly on the early years agenda. Next on the programme was the keynote speech from Penny Tassoni, I was really looking forward to this and I was not disappointed as Penny gave a brilliant keynote on the Rainbow Shades of Play. As Penny explained play does come in all sorts of shades and mean something different for every person, including every child. With play there is not a right and wrong but what is important is that the child is at the heart of the play, and is supported by adults rather than directed by adults. Penny spoke with passion, with examples from practice, and her own life experiences including the fact that she had cut off her Barbie doll’s hair. Penny spoke about children needing different play at different times of the day, and the need for play to extend and change as children grow older. One fact that made me sit up and think and reflect about my own practice with early years children, is that a child who is in full daycare can spend well over 9,000 hours in a daycare setting before starting school. Penny posed the reflective question about changing the environment, about not providing all experiences at once and leaving some things to be experienced later. There was of course a lot more content to Penny’s keynote speech, but as is my way I am not going to recall every word or idea because I feel that is not fair to the speakers or to those who paid to attend. Normally I would put a link here to Penny’s website or information about, however there’s not an awful lot available other than information about the books that she has written which you will be easily find through a Google search. We then had a tea and coffee break, with opportunities to look at the exhibitors displays and important networking. During this networking time I had opportunity to speak to Penny Tassoni again and said the answer to one of the questions from another delegate, was private playspace could be provided behind the sofa in the lounge so that the EYFS requirements about the supervision of the children were upheld. I spent the rest of the break networking with colleagues both those I had met before and those that I’d met for the first time today, and including conversation with Victoria Flint from Pacey about our shared concerns post-election for the early years sector. The delegates taking part in the other workshop were looking at super heroes to the rescue led by Julia Sudbury who is a freelance consultant at Cambridge Early Years and is a Pacey associate. By now it was time for lunch, however I had spotted my Save Childhood Movement colleague, Pam Jarvis and so made my way over to introduce myself to her. Pam and I hugged warmly and had a chat about the presentation that had been presented by Ben (who I was introduced to as he is a colleague of Pam’s). I introduced Pam to my colleagues Lisa and Kara, before Pam and myself made our way to lunch. Sarah Edwards Pacey’s volunteer officer suggested that I joined Pam and had lunch in the area reserved for speakers and exhibitors. Pam and I enjoyed a lovely lunch what chatting about campaigning issues and early years in general. We were just about to help ourselves to desert, when I spotted Gill Jones from OFSTED talking to Penny Tassoni. As I have met Gill Jones before and have a good professional relationship, I introduced her to Pam. There was then a four way conversation before Pam moved away in search of coffee, I continued in the discussion with Gill and Penny until it was time to go back into the conference room. I found the conversation very interesting and informative, however as it was a private conversation I will not be reporting any of it here. As we went back into the conference room Victoria Flint asked me if I’d be happy to ask question about continuity of care during the question-and-answer session with Gill Jones. However, Gill’s presentation also showed restraints under which OFSTED have to work in fulfilling the requirements set by the Department for Education. The presentation also highlighted the difficulties Ofsted had through reduced budgets and reduced numbers of staff to actively engage with practitioners and particularly childminders due to the large number of childminders in the country. Gill challenged those present to come up with ways that would enable OFSTED to support and engage with childminders within the budget restraints. Gill gave some useful links to support practitioners with things like assessment and British Values. At the end of Gill’s presentation there was a question and answer session facilitated by Victoria Flint several questions were asked and responded to include in my own about continuity of care. We then broke into workshop groups again with the choice being either my colleague Pam Jarvis speaking about Play in the Early Years Learning for Life or a presentation by Dr Amanda Gummer on Encouraging playful families / habits. More can be discovered about Pam http://www.leedstrinity.ac.uk/departments/cyf/staff/Pages/jarvis.aspx. unfortunately there is not much on Amanda but I suggest you try a google search. As I’ve already mentioned I had already seen Pam’s presentation as I had had the honour of looking at it from a childminders perspective before the conference, however although I’d seen the PowerPoint I had not heard Pam’s verbal input. The extra knowledge and information provided verbally made an already excellent PowerPoint superb. Pam’s passion and belief in the right to play of young children shone through: she also was able to make several references to Save Childhood Movement and the National Children’s Day UK taken place on the following day 17th of May 2015. Pam is a great believer in play and all the benefits it brings and in fact was due to speak at a national children’s day UK event taking place in Bristol. Pam mentioned that the clapping game played by the delegates during Ben’s talk was in fact a ‘Jazz Game’, other examples of jazz games include the turn taking conversations between adults and new babies, and children of similar and of different ages. Pam posed questions to the audience about if plastic toys that required little imagination, input or effort, were better than natural environments, or things made by the children from imagination using loose parts. There was of course a lot more to Pam’s presentation and delegates were given a handout with all the main points on it to refer to at a later date. By now we had reached the final refreshment break of the day and also the final opportunity to make purchases from exhibitors and network with those who were not stopping for the after conference drinks. The closing plenary was by Andy Cope who is an author, trainer and happiness expert, and his talk was based on the art of been brilliant. Although very light-hearted and with cartoons and video clips, there was a very serious side to it and he talked about the number of weeks the average adult lives and the fact that if you do not make best use of everyday the week, (for example Mondays), you were just wasting huge amounts of time and your life. Andy has carried out some research for his thesis which shows that only 2% of people are always positive. Andy challenged the audience to be more positive and to make the best of every opportunity which would not only improve the happiness of themselves but also of the children that they look after. Jane Comeau made the closing comments, and after everyone had filled in their evaluation forms drew the prize draw. It was nice that people I knew won prizes but to be honest I was glad that I had not, as I had travelled by train and would have had difficulty getting anything apart from a very small prize home on the train. Once the conference had closed there was opportunity to join Pacey staff and other delegates at the drinks reception followed by lots of hugging and fond farewells as people started to depart. My colleagues and I who were travelling from Euston station walk together reflecting on the conference and the great day that we had had together. The journey home was rather long due to waiting at stations for trains, and I finally arrived home just before 10 PM. The goody bag that I received is now set aside to give to Shirlen and Keith when I next see them, which I hope along with this blog will compensate in a small way for not been able to attend the conference. Thank you Shirleen and Keith for giving me the opportunity to attend the conference, to listen to the speakers, and to network with colleagues. I am a volunteer for NEYTCO and currently I am lead for the West Midlands area, but despite this I originally thought that I would not be able to attend the first ‘An evening with ….’ event, due to work commitments and budget restraints. Then at almost the last minute everything fell into place; one of the children I childmind went on holiday, two other parents were able to change days / times, and the final child is one of my granddaughters who could be left in the care of Granddad aka my husband Mr. Penny’s Place. An internet search secured return train tickets for £22, and so all that needed doing was to find somewhere to stay the night. I am very lucky and have several London based friends who very kindly offer me free bed and breakfast. On this occasion it was a chance discussion with my friend Sally that resolved the ‘where to stay’ issue. Sally mentioned that she had thought about attending, and as I was going, she would go with me and provide a bed for the night, at her family home (which meant I would also get to spend time with another friend –her husband Mick). And so as I have said, everything fell into place. I left home at 12.45pm on Thursday 14th May, Mr. Penny’s Place and granddaughter Annabelle dropped me at Kidderminster station, and I began the now familiar journey to London. First to Birmingham, a bit of a wait, then to London Euston, arriving more or less on time at 16.15. Sally was waiting at Euston, and we went to a café had a soft drink and looked at the map. Once we were both fairly sure of our journey, we set off on the underground, arriving at our destination tube station with 20mins to spare to complete our journey on foot to the venue. It was raining heavily and the pavements were packed as people made their way home. We walked a fair distance before we realised that we had missed the connecting road, and had walked too far. We looked at the on street maps, we went in shops to ask, but no one had heard of the venue. So we retraced our steps and intended to get a taxi as soon as possible, but on a rainy rush hour evening, this was easier said than done. All the taxis were busy, so we kept walking, we consulted the map many times and tried to get our bearings, but most of the road names were missing and so it was hard to work out our route. We walked up streets and down streets, getting wetter and wetter, the hood on my coat kept falling down, and Sally’s umbrella was not being very effective. After about an hour we realised that we were walking, not in circles but in squares. We went into another shop –a sweet shop, where the gentlemen did his best to help us, telling us to continue along the street for another 15mins or so. My heart fell, I was now very tired, my overnight bag that I had been carrying for the last hour and half since we left Euston, seemed to be a billion times heavier. Glancing as Sally I could see she was not enjoying the walk any more than I was, in fact the term ‘lost the will to continue’ seemed apt. We then turned a corner and realised that we had just walked in another square. In my head I was thinking ‘at what point do we call it a day, and give up trying to find the venue’, when we spotted a taxi pulled over without passengers. On enquiring the taxi driver could get us there, so into the taxi we jumped (well once Sally had persuaded her umbrella to fold). Then while the fare clock in the taxi generated a visual reminder of how much this was going to cost, we crawled towards our destination at a snail’s pace, and I was beginning to panic. My face matched Sally’s with a disbelief that what should have been a 10min walk had turned into such a nightmare journey. Then suddenly the traffic cleared and about 3 minutes later we arrived at the venue, with the taxi pulling up literally outside the door. We signed in at reception of the modern and very smart building, and were directed to a downstairs room. I noted with relief that a gentleman had also signed in for the NEYTCO event, as this meant we were not the only ones who were late – the only difference was he was not dripping wet. We had to go down a spiral staircase and from this advantage point I could see Laura Henry sat on the platform with the people we had come to hear talk; Penny Tassoni, Sonia Blandford, Elizabeth Jarman and Martin Price. I was pleased to see Laura’s welcoming smile, as we made our way to seats at the back. We took our wet outer clothes off (although we still had damp, if not wet clothes on), were given our packs and name badges, directed to the refreshments (which we gratefully put a few on a plate and poured ourselves a drink, before taking our seats). Tuning into the conversation from the front platform, I realised they were talking about early childhood – no surprise there really considering the guests –but what was a surprise was they were talking about their own childhoods. Penny Tassoni was speaking about her early memories; and without going into too much detail, she recalled being cold due to lack of heating at home, so cold that there was ice on the inside of windows (actually some of my early memories are similar, and some of my early adult memories come to that), she spoke about the various countries that she has lived in, and the differences in languages even in those countries where English was spoken. Penny spoke about other personal early memories about her childhood some of which were similar to my experiences and some that were very different. Laura then did a summing up, I was sorry that I had missed the other guests contributions, but maybe I will get another opportunity in the future. During the rest of the evening Laura asked the guest various questions about their work, their journey so far and what drives them, in other words their passion about what and who had influenced them personally and professionally. This is my overview , not in any particular order, but just recorded as things pop from my memory (because as usual I did not make any notes) I apologise if a bit vague but to be honest I was tired from the journey, particularly all the walking, and the things I was hearing prompted personal memories of my journey through life, and professional practice questioning and so all a bit muddled in my head. I should mention that we had a comfort break and a challenge to talk to as many people as we could, especially people we had not met before. This meant as well as getting to enjoy more of the lovely refreshments we got to talk to others. I introduced Sally to some of the people I have met before, and we both talked to lots of other people, not everyone of course, because as usual when early years people get together and start talking early years things, the passion comes out and there is no such thing as a short early years based conversation! I was struck with how important each guests family were to them, and also how each of them had overcome personal difficulties and / or insecurities which have impacted on their journey through life, their professional development and also their passion for what they do. Elizabeth spoke about how proud she was of her children and how they had overcome personal difficulties, with one about to go to university. She also spoke about being a single parent, about relocating the family and about why the environment is so important, and sadly how many early years environments are still not designed to meet the needs of the child, and why she wants children to experience the types of enabling environments that she did as a child. Elizabeth spoke about building her own opinion and professional views based on ‘a mix and match’ of theories and practice she has seen over the years. Sonia spoke about her adopted family, and challenges and rewards of a diverse family, she spoke about her personal need to know where each member of the family was, so that she knew they were safe. Sonia also spoke about her school years and the impact that had had, particularly music and certain teachers because Sonia had not had the best start to her education, and could be described as a late starter, and slow developer. Sonia was keen to stress the importance of personal skills and leadership not just of settings but also of people. Sonia explained about her work experiences on the various roles she has held, and how this has helped her develop her own personal beliefs and what is right for early years children. Laura then asked some questions that had come in through social media, and the panel of experts answered as best they could. Time was running out and so Laura took a few questions from the audience before announcing it was time have a final networking opportunity, before heading home. During this final networking I spoke to many people and was impressed with the passion vision and ethos of those present. Final farewells were said and Sally and I set off on our journey back to Sally’s house, secretly hoping that it would be a lot easier than the journey to the venue. However this was not to be because once again we miss the side roads and kept walking until Sally suddenly said ‘oh my goodness we have walked much too far but not to worry because as tube station just ahead and we will just do a roundabout route to get back’. We realise that it was going to be a very roundabout route because we could not go in the direction we needed to and so had to go one stop change tubes then go in another direction change tubes again before finally getting on the right train to head to the station near to Sally’s house. I really enjoyed the first NEYTCO ‘An evening with …’ event and although not what I expected, but found it to be very enjoyable, relaxed and informative. I look forward to being able to attend future events and hope that on reading this recall the some of you will be interested in attending similar events in your locality. This morning I was minding my own business (well to be honest I was reflecting and sharing with others my views about campaigning matters in relation to recent election) when into my inbox popped a message saying I had been mentioned on twitter by Deborah Fielden- so I took a look. I was aware of this challenge, having read a blogpost about it by Laura Henry, but never in a million years did I think I would be included, because although I have times when I am on twitter a lot with my campaigning tweets and tweets with links to my blogs, I am not a ‘everyday’ tweeter. So thank you @DeborahFielden for my nomination for #TwitteratiChallenge, your experiences far exceed mine and I am totally honoured that you picked me as one of your 5. I am now taking up the challenge to nominate five Twitter colleagues of my own whom I consider as my professional friends who share my ethos about working with young children and who are as passionate as I am about sharing information freely to support practitioners and parents, so that together we can make a difference. I have to say that many of the people I would have nominated have already been nominated – so I am thinking about support side as well as information sharing. At first I thought it would be hard to find 5 who have not already been nominated, but in fact it was hard to cut it down to 5, just goes to show how many dedicated, passionate, experienced, inspiring early years people I know and connect to. @Kathybrodie I had to include Kathy because it was Kathy (along with Laura Henry) who encouraged me to start blogging through getting me to do a guest blog. Although a hesitant start, my life has changed since I started blogging and also therefore tweeting. Kathy continues to encourage me and to share information through her blogs and her tweets. @Jenniflowers_CT Where to start? Jen, has boundless energy and constantly has a million things on the go at once. She has a childminding setting,a homebased nursery a pre school and is setting up groups to support children with SEND. However the thing that sets Jen apart is her work with parents of the children and her staff. Jen shares, trains, inspires and models so that the children benefit from informed staff and parents. Some of the things Jen tweets have that ‘wow’ factor (and the why didn’t I think of that). I am proud to have Jen as one of my professional friends, who always goes the extra mile in her support of others. @DrSue22 I have included Sue because (along with others) she thinks on similar lines to myself – and we both hate tick box systems and trying to get people to fit into one size fits all boxes. Sue is always willing to share information and to discuss early years issues, which I and many others find beneficial. The fact that Sue has early years teaching experience, supports my understanding – and links me to colleagues within schools. I think it is safe to say that we share a passion for early years and child led learning. @chattercat2 Lisa is a Ofsted registered childminder like myself, who shares my passion for childminding and also campaigns against many of the same government policies as I do. Lisa’s strength is in her sharing of information from others which benefits many childminders and other early years professionals. She retweets, and tweets her own views. She gives her time as a volunteer and also as a campaigner, and is very supportive of others. You cannot list somebody that has already been named if you are already aware of them being listed on #TwitteratiChallenge. You will need to copy and paste the title of this blogpost and (the rules and what to do) information into your own blog post. Within seven days of being nominated by somebody else, you need to identify colleagues that you rely regularly on and go to for support and challenge. They have now been challenged and must act as participants of the #TwitteratiChallenge. If you’ve been nominated, please write your own #TwitteratiChallenge blog post within seven days. If you do not have your own blog, try @staffrm. The educator that is now (newly) nominated, has seven days to compose their own #TwitteratiChallenge blog post and identify who their top five go-to educators are. 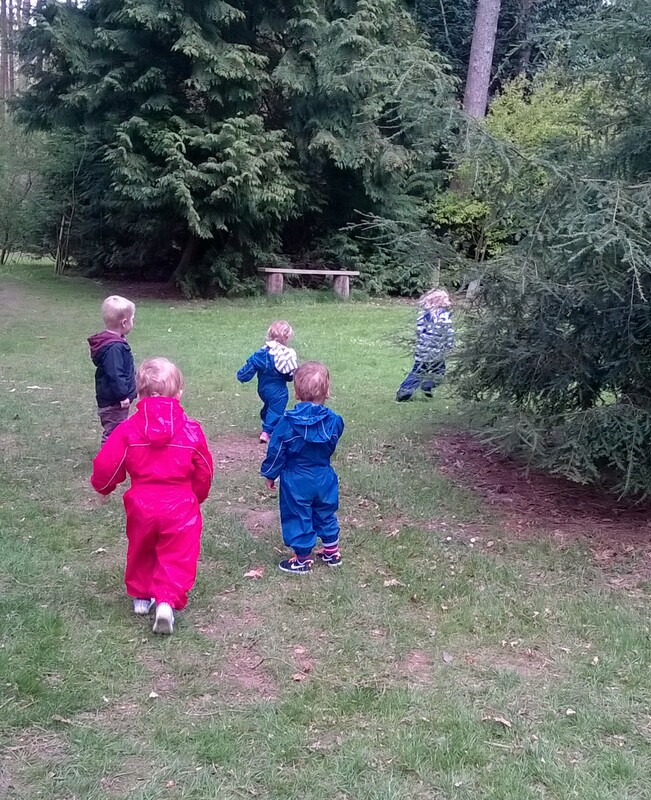 As the sort of early years practitioner who likes to promote outdoor play and visits muddy places such as the forest, the arboretum, park, fostering agency site and so on, wellies are very important at Penny’s Place. Parents often provide wellies for their children, but not all are able to for a variety of reason, and so I look out for wellies at car boots and always gratefully accept outgrown wellies from the parents of the children. Over the last 5 years (since I reregistered) I have built up a good collection of different sized wellies, which I keep at Penny’s Place, along with the all in one waterproof suits (and now also 2 piece suits) which I provide in a variety of sizes. The wellies supplied by me and currently in use are kept on the wellie rack outside while those supplied by parents of current children go back and forth in the child’s bag , so the child can use at home as well. So I lifted the lid of the box last week – and quickly shut it again – it was FULL of water, clearly the box was not watertight!!! I was pondering what to do, and had in fact mentioned to my colleague Carol that I may have to bin all of them (well recycle if possible) and buy some more, when Mr. Penny’s Place completely randomly asked if I was using the large box outside the conservatory door. WHY? I asked Mr.Penny’s Place. He replied he was thinking of setting up a wormery (no idea how to spell it so apologies if not right). Now before you all think what I first thought – wow, the children would love that – especially as only recently we had watch ‘Mr. Bloom’ set up one on the TV – Mr. Penny’s Place was not thinking that at all, he was thinking of growing his own bait for fishing! Still that aside, as the children would benefit from having a wormery (and knowing them well I think they would be really interested), I agreed that Mr. Penny’s Place could have the box to turn into a wormery. This meant of course that I had to face opening the lid of the box, and ‘deal’ with the water collected AND the mouldy / wet wellies. Today was the day that I decided to tackle the task. And actually ….. it was not as bad as thought it was! – and there are another 3 pairs that did not fit in the photo! So plenty of wellies – and as a bonus we can now look forward to having a wormery. 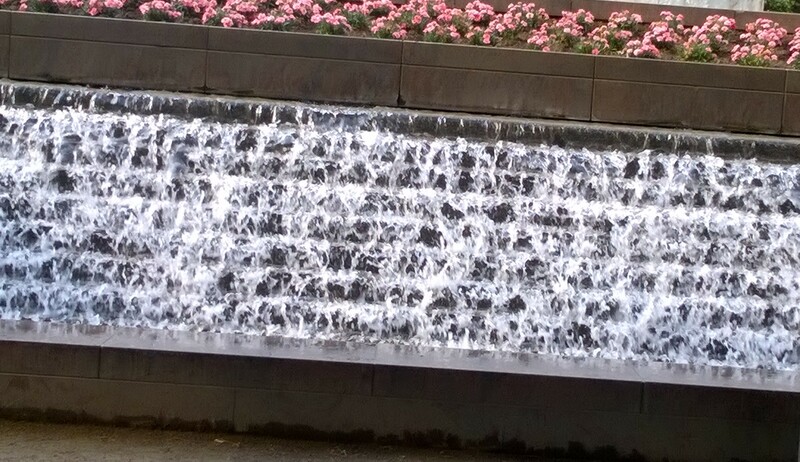 Which only means one thing ….. I think that those who read my blogs or perhaps have read some of my articles in Child Care Journal, will not be surprised at the title of this blog, but maybe new readers will be surprised. If you believe what you read, you could be forgiven in thinking that children will simply not progress and even fail to thrive if early years practitioners do not do all this planning. Well I have news for the government, and those that believe the stuff written , children do extremely well if they are given opportunities to play, explore, investigate, outside if possible, but inside can, if an enabling environment, provide the ‘right’ opportunities. I can not help questioning how the heck did I, or anyone else of my generation, or the generations before mine, or even those of my children’s generation ‘manage’ to thrive in their earliest years without anyone planning their every move through next steps and referenced activities? How did any one over the age of say 25, actually become an adult, pass exams, get jobs, be successful without anyone planning for them when they were under 5. I wonder if people like Branson, Beckham, Dyson, Sugar , who are all very successful in their own right. had their early years planned for them? Or the great theorists in the early years field like Piaget, Brunner, Vygotskyy, or more recently people like Bruce or Tassoni or Scott became such well respected experts about children without their own early years being planned in fine detail? And what about all those university lecturers, the ones who lead the degree courses that early years practitioners undertake to become graduates – was every second of their early childhood planned? ‘Ah but’, I can hear some of you saying ‘What about the disadvantaged children?’ ‘We must improve their outcomes’ I totally agree, but this is not done by directing their every movement, and planning every next step, there is much more to it than that. So rather that write about the theory, the whys and wherefores, I am going to tell a story about my childminding week, and the complete lack of forward planning , in writing (and very little in my head), with no next steps thought about, never mind recorded on paper. At the end of my story, I will ask you some questions. Currently I am only working 3 days a week – Tuesday, Wednesday and Thursday, some days I work alone, some days I ‘do things’ with my colleague Carol, sometimes I have an assistant working with me (being my daughter or husband). As it happens this week a bit of all of these things happened, but each day I ‘did something’ with Carol. On Tuesday, Carol came to my setting (home), I admit I was not in the best mood as I had had a very unpleasant experience on Monday at uni with my dyslexia support person, and I was still angry and upset. I had set up the environment in the lounge with large box of toddler type toys such as shape sorters, cars, stacking toys and so on, a selection of puzzles and a box containing interstar construction set (with the CP in what I call the middle room and in the conservatory – and too much to list). So some on your feet planning in setting up the environment, based on ages of children and interests shown before. Between us we had 5 children aged 18m to 3 years. While the children engaged in free play of their choice – doll play, home area play, and a fair bit of what to the untrained eye would be called ‘making a mess’ by the younger children as they explored various schemas of transporting, enveloping and enclosure ; Carol and I observed (including taking photo’s) – and Carol supported me with my feelings about Monday, and I supported her with an issue about working in partnership with parents. We had a shared snack time, with all 5 children and both of us adults in my kitchen, lots of conversation, encouragement of manners and healthy food choices. I then got out the playdough, and Carol sat with the two oldest children while they played with the playdough. These two girls (one who attends my setting, and one who attends Carol’s setting) had not spent much time together before, but both Carol and myself had noticed some parallel play and some interaction, which we had acknowledged between ourselves, and wanted to support this developing relationship. The children ended up making ‘food’ with the playdough, so Carol modelled how to make sausages and they sang the song ‘5, fat sausages’, while I (being the other side of the gate across the kitchen doorway with the younger children) – passed them the ‘real life’ frying pan from the home area. By then it was lunch time and Carol had to go home – but before she did we agreed we would go to my fostering agency site the next day and take a picnic lunch. As it was raining I added the all in one waterproofs, and as an afterthought, I added some weaving frames, a large box of ribbons and other weaving materials. some tubs of bubbles and some foil ’emergency blankets. Carol arrived in her car at my house, and I followed Carol in my car to the site. The fostering agency that I work for, and in term time I have use of their site on Wednesdays, and I can invite colleagues to join me – usually Carol – sometimes my daughters Michelle or Rosie, but can invite others if I want to. 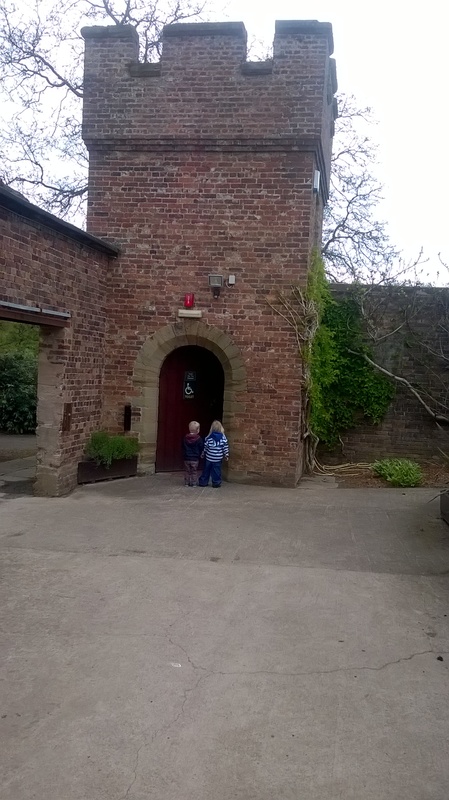 They have a craft cabin, a sensory room, planting in poly tunnels and outside space – and we can walk to the farm shop, passing all the animals (and a lake) on the way. This visit we decided to use the sensory room, I added the foil blankets to room full of the fixed equipment / lights. One child really enjoyed using the foil blankets, other bouncing on the water bed type piece of equipment (lots of language around this including words like squishy squashy, wibbly, wobbly and so on) the children also did a lot of running, climbing, going round and round the tall tubes of lights – and the friendship between the two girls who played playdough together on Tuesday continued to blossom. We noticed one of Carol’s children’s language development was developing well, which is excellent as a few months ago we were discussing language delay and needing to work with parents to decrease use of the dummy. While in observation mode, Carol and I also discussed some concerns around if our insurance would provide cover in the future once we had retired, in connection to any allegations from children. By 11.30 am, the children were saying they were hungry, so a instant decision to have lunch early. We went outside and had a lovely picnic, we take our own picnic’s but there is always some sharing when children spot items they want to try. After lunch the children played on the pirate boat and slide in the small bark area. I had set up the weaving frames and left the box of weaving materials available. However the children did not want to do any weaving, but they did want to select ribbons and run about with them. They also want to show their lovely ribbons to Carol and myself – and we discussed length, colour, and width, likes and dislikes. One of Carol’s children was so taken with her ribbon that she asked me if she could take it home – of course she could. We agreed that would meet at 11am at the arboretum on Thursday and take a picnic. We then packed up, and drove pass the animals at the farm park, so lots of naming of animals and animal sounds. So a mixture of in head pre planning, and on feet planning. Thursday morning and as we were not leaving until 10.30am I put out the large little tikes dolls house and all the people and furniture, completely at random really, as we have not had it out for a while – but I knew one child liked dolls, and small world play, and I thought the younger children could just explore (and was still safe if they put in their mouth) – this proved to be a really good choice as all the children engaged with it – oh and made me pretend dinners. As it was a bit cold and looked like it might rain, I put warm jumpers and waterproofs on the children, and loaded buggy, picnic and children into the car. We arrived at the arboretum car park at 11am (Carol was already there) and made our way into the arboretum itself. Carol and I both have season tickets which are excellent value for money. 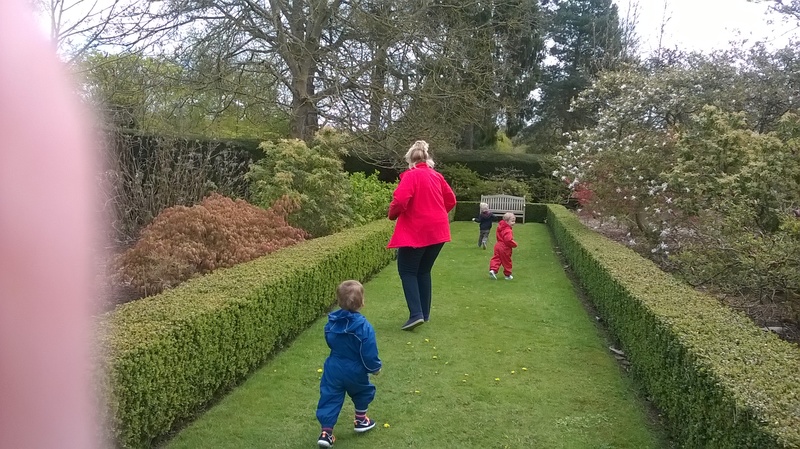 We then came across an area that we have visited before, but not for a long time and not with these particular children – however the children reacted just as previous groups of children have – they just had to run – and so did Carol! Even though they spent a lot of time running, we discussed; feeling tired, needing to rest, where to rest (and the bird poo on the bench and finding another bench ), going in different directions, stopping, starting (go). The children came up with really good ideas; sit on the floor to rest, walk to find another bench, and so on. The younger ones did struggle with the idea of running in the other direction round the tree – but they soon got the hang of it. 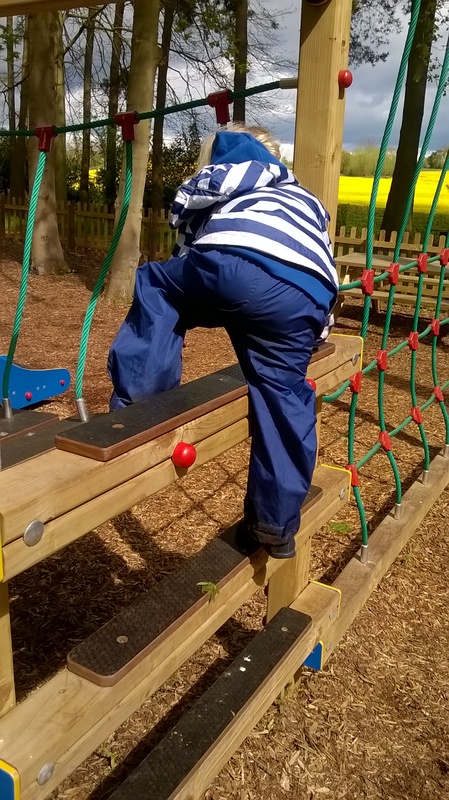 While walking and looking for another bench the children spotted the play area – which they have used before – and they remembered that there are benches in the play area – so they headed there – taking a short cut through the undergrowth (Carol and I kept to the main path over grass). Once in the park area, the children were off – and climbing, running, sliding, solving problems, mastering new skills (as seen in the photo below) and lots of conversation between themselves (and to Carol and myself who had taken up position on the bench – close enough to support verbally and to respond to requests of help, but far enough away not to interfere with the play). 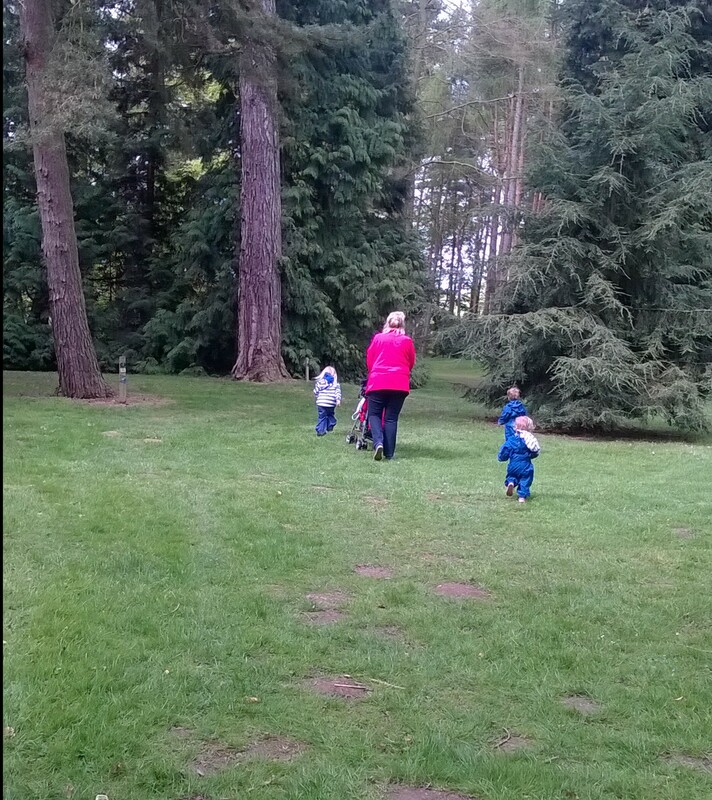 We had our picnic in the park area, and while doing so a family group came into the park area, once the children had finished their lunch they went back to playing – and engaged with the little boy from the family group. In the car park the children spotted a tractor and so we had to investigate. I asked what the farmer would put in his trailer, Carol suggested cake, the children laughed and said ‘NO’ and then suggested ‘pigs’. 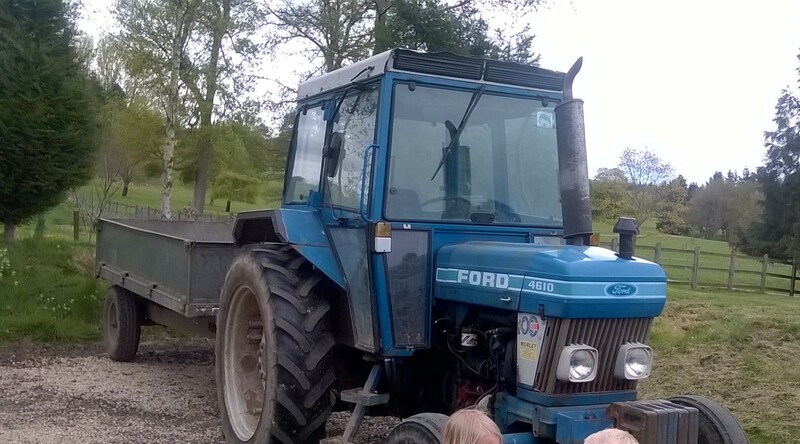 And no we did not ask what colour the tractor was – as the children told us as soon as they saw it. So apart from the picnic a completely unplanned day, led by the children, and through on our feet thinking, supported by Carol and myself. Do you think the children ‘achieved’ anything this week? Do you think if Carol and I had planned activities round a theme (say Spring or minibeasts) that the opportunities to ‘achieve’ would have been the same? Do you think if we had planned everything, if the children would have engaged as much, or led their own learning based on their interests? Do you think there was evidence of next steps being taken? Do you think Carol and I noted development, and the children’s interests? Bearing in mind that you have only read about the days / hours that Carol and I spent together (so other experiences during the week, not recorded here) do you think the children were provided with opportunities to flourish? In other words would the children’s needs have been better met if we had lots of planning sheets, next steps and referencing what the planning links to within Development Matters? Actually, although I hope those of you reading this do agree that planning is over rated and limits opportunities for children – you can disagree with me, because I know the experiences that I (and Carol) offer the children are excellent and all the children in our care are flourishing.